DT Decor’s painting services include House Painting, Commercial Painting for Schools, Offices , Shops , Public Houses and Gyms. Darren and the DT Decor’s Painting and Decorating Dublin Team also specialise in quick turn-arounds on rental properties for Landlord’s and Property Maintenance Companies. To compliment our painting services we have a host of decorating options also available. DT Decor’s Painting and Decorating Dublin Service, offers a full wallpaper removal service and wall paper hanging service. 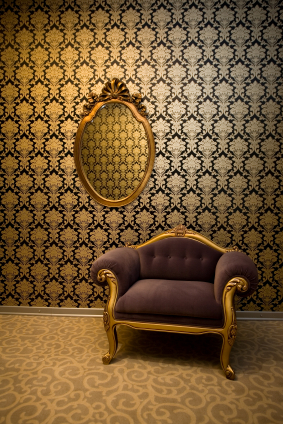 Wallpapering has grown in popularity in recent years. A room can undergo an amazing transformation by simply hanging a few new sheets of wallpaper. Getting it right is the key !! Straight lines a smooth finishes are important when wall papering a room. Many people encounter weekly D.I.Y disasters. Avoid D.I.Y nightmares and free up time for you and your family by hiring an expert Painter Decorator in Dublin. In addition to our complete wall painting, wall decoration and ceiling painting solutions, our quick-turnaround Painting and Decorating Service ensures your home or business will be returned to normal in lighting-fast time. Drywall repair – damaged or cracked walls ruining your room ?